A new partnership among key players in the agriculture industry seeks to boost farmers’ incomes, add value to local products and make the sector more sustainable. 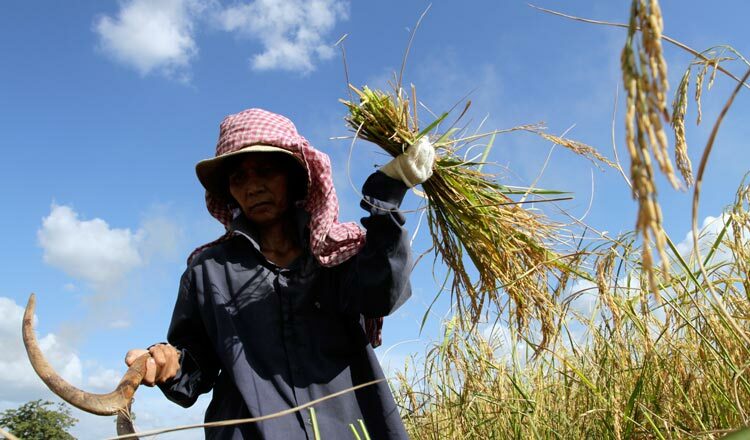 Local rice exporter Signatures of Asia signed a partnership yesterday with a number of farmers associations, insurers, banks, and international buyers to promote sustainable agriculture in the Kingdom and improve the supply chain. According to Signatures of Asia, the Partnership on Sustainable Agriculture and Value Chain aims to involve more key players in the value chain as a way to minimise challenges for farmers, which include a lack of access to finance, technology, advanced farming techniques, and markets. Yesterday’s agreement was signed by providers of farming inputs (Farmer Organisation and Bayon Heritage Holding Group), and providers of technical support (Cambodian Institute for Research and Rural Development and World Vision). Agri-Smart, a machinery manufacturer, Forte, an insurance company, and AMK, a microfinance institution, also joined the partnership, alongside Dutch company Doens Foods International. Others suppliers of seeds, machinery, and agricultural goods will join the partnership in the near future, as well as other microfinance institutions, banks, insurers, and NGOs, according to Signatures of Asia. Chan Sokheang, Signatures of Asia chairman and CEO, said the partnership links every stage of the value chain – from farmers to buyers – focusing on organic products. “Through this partnership, we will have more partners to support the farmers, including microfinance institutions to provide loans to farmers, as well as a buyer from the Netherlands that shows that international buyers have confidence in the Cambodian market,” Mr Sokheang said. He said his company has so far signed six memorandums of understanding with different organisation and companies, and will enter contract farming schemes with 15 communities across the country.